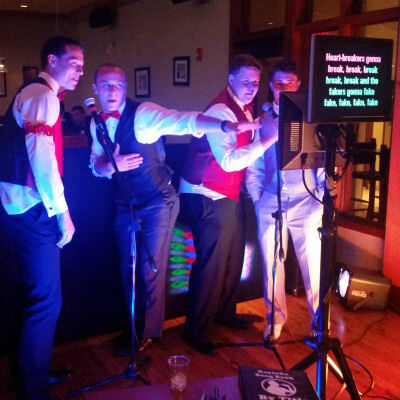 Whether you are hosting a corporate event, family reunion, birthday party, or any other special occasion, a Karaoke DJ could be just what the doctor ordered! Let your guests take control and be the stars of the show when they step up to the mic to sing their favorite tunes. Our Karaoke DJs are constantly updating their playlists to ensure that they have the songs your guests want to sing! Your guests will really shine when you upgrade to add a state-of-the-art lighting package, along with props and costumes to make your singers into rockstars!